This is the oldest of the traditional dances of Scotland and is a dance performed before battle for luck. It was danced by male warriors over a small round shield, called a Targe, that the warriors carried into battle. The Highland Fling is danced on the spot, and is said to be based on the antics of a stag on a hillside; the grouped fingers and upheld arms representing the antlers. Usually taught first, this dance contains many of the basic movements of Highland Dance. 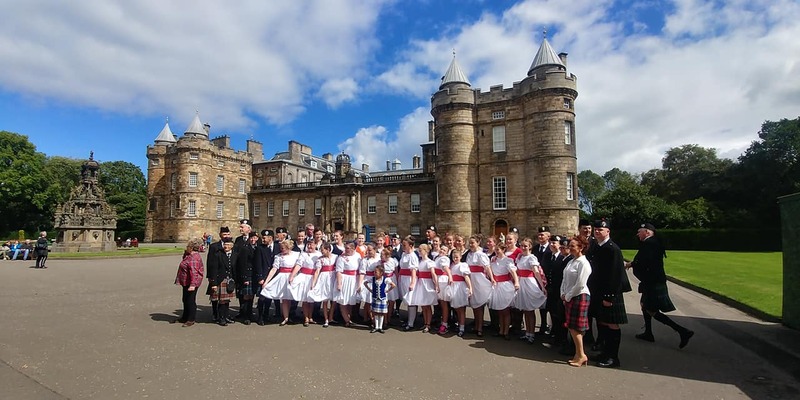 Folklore has traced the origins of the Sword Dance to as early as 1054 when Malcolm Canmore defeated MacBethï¿½s chiefs at the Battle of Dunsinane. One story is that this was a dance of victory, as the King danced over his bloody claymore (the two-handed broadsword of Scotland) and the even bloodier head of his enemy. Some say that no severed head was used and that the King danced over his own sword crossed over the sword of his enemy. Another story is that the Sword Dance was danced prior to a battle. To kick the swords was considered a bad omen for the impending battle, and the soldier would expect to be wounded. If many of the soldiers kicked their swords the chieftain of the clan would expect to lose the battle. Pronounced "shawn trews," this Gaelic phrase means "without trousers." This dance is reputed to date from the rebellion of 1745 when Bonnie Prince Charlie challenged the might of England at Culloden, and lost. As a penalty, Highlanders were forbidden to wear the kilt. Seann Triubhas is a dance of celebration developed in response to the Proscription Repeal which restored to the Scots the right to wear their kilts and play the bagpipes once more. The movements of this dance clearly depict the legs defiantly shaking and shedding the hated trousers and returning to the freedom of the kilt. Some of the steps originate from hard shoe dancing. The Seann Triubhas arrived at its present form in the early 20th century, and an itinerant dance teacher from the 1890s is on record as having invented the first step of the Seann Triubhas. These dances are performed by four dancers. The Strathspey is never danced on its own in competition and must be followed by a Reel. These dances illustrate the "set" and "travel" steps which are common in Scottish social dancing. The dancers weave around each other making a figure 8 pattern. This dance originated within groups of chilly churchgoers attempting to stay warm while waiting for the minister to arrive. Scottish National dances are of a more modern origin and have been collected from old dance masters. In North America, National dances were not danced in competition until the 1960s. 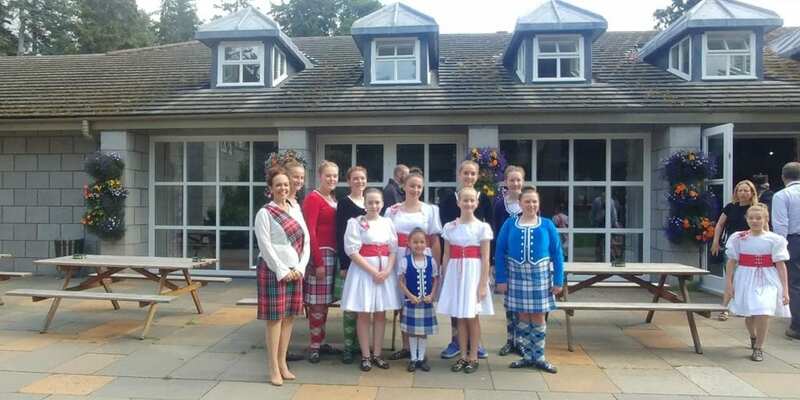 The attire worn by female dancers is called the Aboyne dress, named after the Aboyne Highland Games of Scotland where up to this day, the wearing of the kilt is strictly forbidden to women. The National dances are very similar to Highland dances, but the style is more flowing and graceful. They require a lot of skill to execute correctly, and spectators will note that often the rhythms are more complicated than in conventional Highland dancing. This is said to be the last dance Flora McDonald danced for Bonnie Prince Charlie before he fled overseas, but is more likely to be a dance named in her honour. Flora McDonald helped the prince escape from North Uist to Skye disguised as her maid. She emigrated to America but returned home to Skye later in life. The original tunes for the Lilt are 'Drops of Brandy' and 'Brose and Butter.ï¿½ It is now danced to the ï¿½Battle of the Somme.ï¿½ The Scottish Lilt is claimed by both the Hebrides and Perthshire. The Lilt is a combination of both the Highland and Ballet forms of dance. "Wilt thou go to the barracks, Johnny?" is a military recruiting song. Members of the military would travel to small towns and perform this dance to either entertain or to attract people to the recruiting station. This graceful dance depicts the flirtatious movements of women with Scotsmen referred to as ï¿½Blue Bonnetsï¿½ because of the blue hats they wore. Jacobite Troops had no formal uniform. The white cockade on a blue bonnet became their emblem. The white cockade emblem is said to have originated when Bonnie Prince Charlie picked a wild rose and pinned it to his hat. This is another graceful dance that combines both the Highland and Ballet forms of dance. 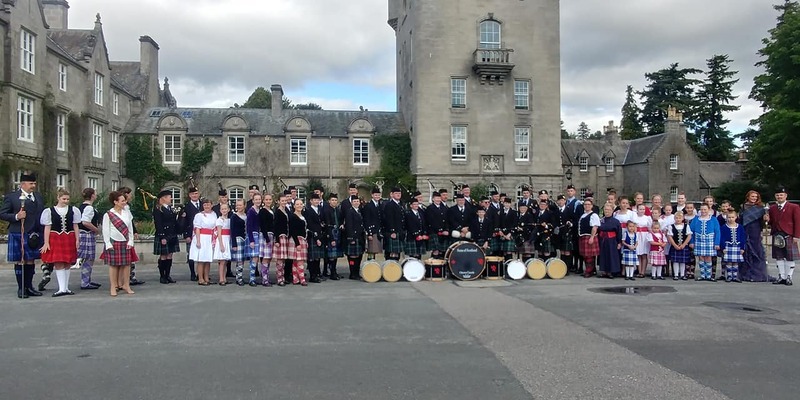 This and the Barracks are the only National Dances where females are to wear the kilt. Highland Laddie is a lively 2/4 March which, in 1881, Highland Regiments throughout the British Army adopted as their Regimental March in compliance with official decree. The Sailor's Hornpipe is a caricature dance developed from the traditional English version. It has become more popular in Scotland than in England and is regularly featured in Highland Games. The movements in this dance portray actions used in the daily work routines of a sailor's life, such as pulling ropes, climbing the rigging, and looking out to sea. A costume like a sailor's uniform is worn by both male and female dancers. The Scottish Version of the Irish Jig is another caricature dance depicting an Irish washerwoman who is angry with her erring husband. The costume worn for this dance is either a red or emerald green skirt and bodice and a full white petticoat, with a white blouse, with a white apron. Red or green jig shoes are worn and there is much stamping and facial grimacing in this dance. In the male version, the dancer wears a red or green tailcoat with a waistcoat of the opposite colour, brown knee britches of corduroy, with a paddy hat and he carries a shillelagh, which is a club made from the forked branch of a tree. You can contact us at the school at anytime, to make arrangements for class scheduling and assessment of level. Let us take you back to the moors and highlands of Scotland. 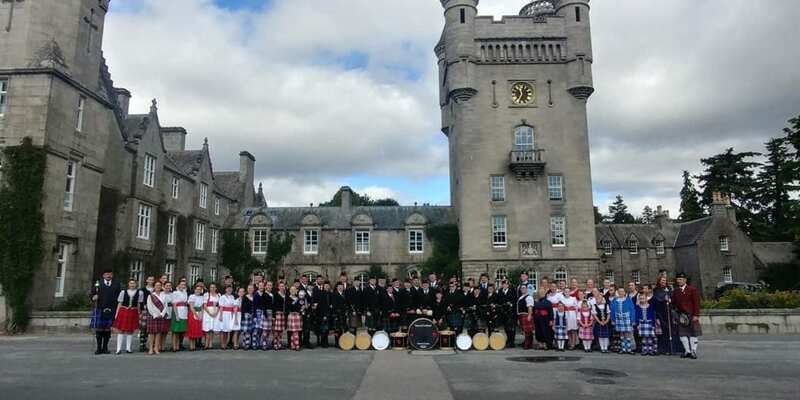 We will provide you with a spectacular performance of both highland and national dances as well as a live piper.